Kyle Quilici knows a thing or two about maintaining a dreamy home. As the co-founder of New Minimalism, a decluttering and redesign company, and co-author of New Minimalism: Decluttering and Design for Sustainable, Intentional Living, Quilici spends her days helping other people get organized for good. Her own apartment, a tiny San Francisco studio she shares with her boyfriend, is the ultimate test of her skills. Here, Quilici shares her top tips for keeping even the smallest of spaces looking clean and pristine. 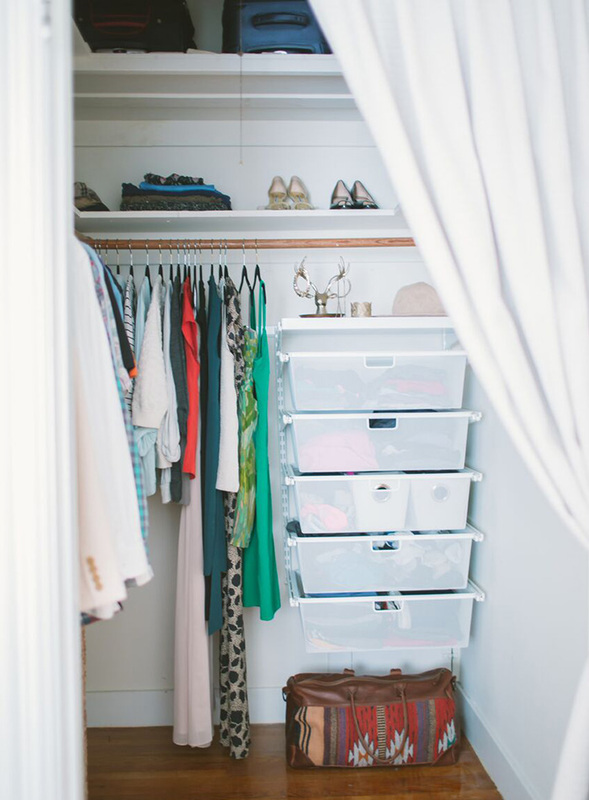 What decluttering tips do you lean on living in a smaller space? I co-founded a company called New Minimalism, so if it's not already obvious, I care deeply about intentional spaces and mindful consumption! But that's not to say that it comes 100 percent naturally to me. It takes some work to maintain a space like this, mostly in the form of keeping a high standard for what is "allowed" in and regularly removing items if they are no longer useful to me. If I had to boil it down to just one of the 12 principles found in our book, "A home for everything" is essential and just plain necessary to maintain sanity. It's actually a blessing to have such a small space because it forces us to consider what we have around us. What criteria does a new item (furniture, accessories, etc.) have to fit to come into your space? Now that we have lived with less, we actually prefer it. So this motivates us to refrain from acquiring in the first place. At this point, anything new that comes in is likely replacing something else. If I'm inspired by something out in the world—let's say a vintage, chunky wool sweater—I'll get rid of a sweater that has been loved and is ready to move on to a new owner. 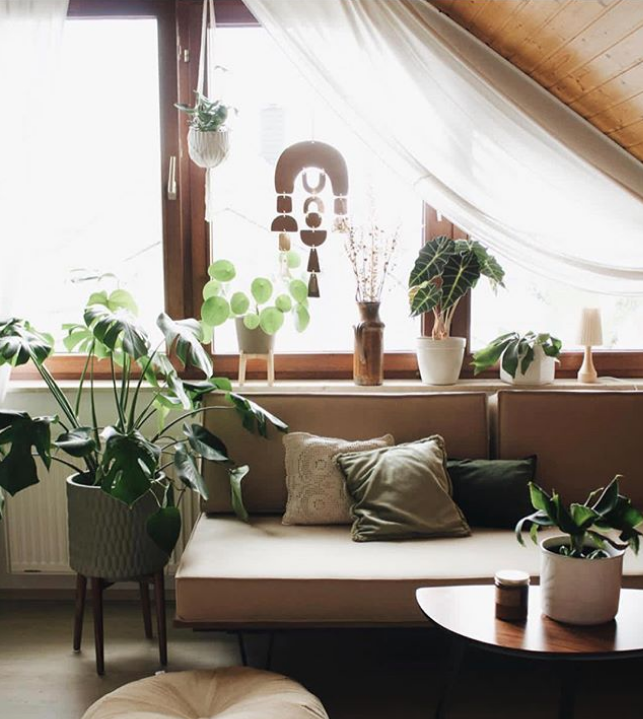 What habits have helped you share a small space with your partner? We seem to have similar personal tidy factors (PTF). Our preferred levels of order and cleanliness are aligned, so that is hugely helpful. We also have spaces that are totally one person's domain: his and her sides of the closet, his and her secretary desks, etc. The entire point of decluttering in the first place is to spend less time managing your stuff. How often do you declutter your space? Can you walk us through your cleaning routine? Keeping clutter at bay requires some regular maintenance, but it shouldn't be overwhelming. The entire point of decluttering in the first place is to spend less time managing your stuff! I think what often gets overlooked is that your home first requires a deep, thorough purge to get to the point of maintenance. Rules like "1 in, 1 out" can only work if you've completed a thorough decluttering to begin with. 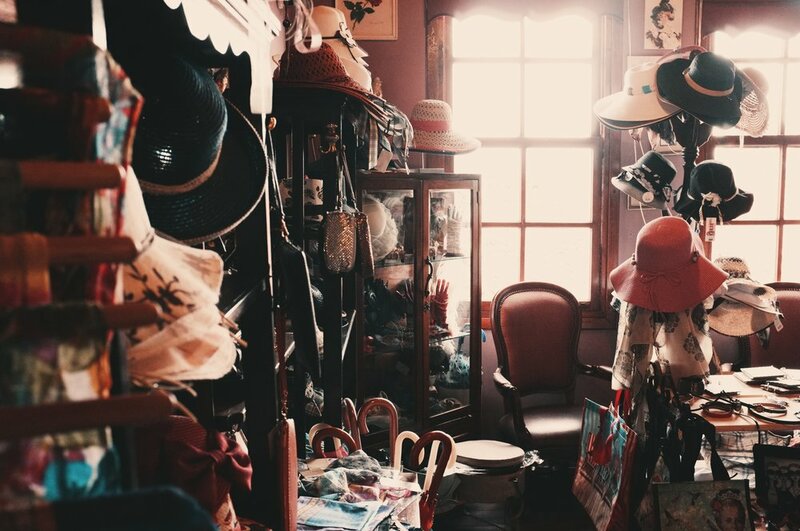 If you find you are spending too much time managing your things and maintaining your home, it's a sign that a more thorough decluttering is in order. For cleaning, I like to turn on music or a podcast and open all the windows. After dusting I use a simple water, white vinegar, lemon, and essential oil solution to wipe down surfaces and the floor. We also don't wear shoes in the house, so that seems to help keep the floors cleaner for longer. The oldest is probably the wooden headboard. It used to be a drying tray on an apricot farm. After the apricots were picked, they would be placed on these wooden pallets to dry in the sun. The newest is actually a vintage lamp from an estate sale…so "new" to us. We are lucky to live on a quiet street. During the day we often have the windows open to listen to the birds. We make dinner at home most nights and like to listen to disco music or something fun. Sometimes you'll smell a fire or Palo Santo. We each have one family photo hanging on the wall opposite the bed. His is with his mom and two brothers at the beach. Mine is a black-and-white photo of my mom's mom on her wedding day. How does your home promote health and wellness? We don't have a TV, which is nice because it doesn't become the default to watch something at night. Streaming something on the computer still feels like a treat! Cooking at home is a priority for us, and it makes us feel so much better than eating out a lot. Nontoxic, fragrance-free cleaning supplies and beauty products are the norm here. Now that I haven't used toxic, fragrant products, my nose and skin have become really sensitive to them. I like when friends say it doesn't feel a like a studio. We can accommodate 10 friends for drinks and hangs; they all casually lounge about the love seat, on the rug or on the bed. The layout of the apartment is super smart (we credit the architect who designed it! ), so the orientation of the rooms helps it feel open and airy, despite the small footprint. Professional's Workshop with Shira Gill is back! Professional organizers, coaches, home decorators and stylists, zero-waste educators, minimalists or those aspiring to be any of the above. You will learn some of our best practices with clients, and then we'll open it up to an extended Q and A. No topic is off limits - from budgeting to scheduling to generating new clients and programs. With a combined experience of over 15 years in the industry, this workshop is guaranteed to add value to your freelance, home-based business. We are here to serve you! As such, there will be plenty of time allotted to answer your specific questions. Get them ready! Shira Gill is the founder of Shira Gill Home, a lifestyle brand focused on clutter-free living, that merges minimalism, home organizing, and styling. She is the founder of the Virtual Closet Makeover Program and her work has been featured in Goop, Style Me Pretty, Who What Wear, My Domaine, and Rue Magazine. She is also a contributor to Real Simple Magazine, Parents Magazine , My Domaine, Sunset Magazine, and other national publications. Kyle Quilici is co-founder of New Minimalism, a home decluttering service based in San Francisco, CA. She co-wrote, New Minimalism, Decluttering and Design for Sustainable, Intentional Living. New Minimalism has been featured in The New York Times, Oprah.com, S.F. Chronicle, Sunset Magazine, and The Huffington Post. 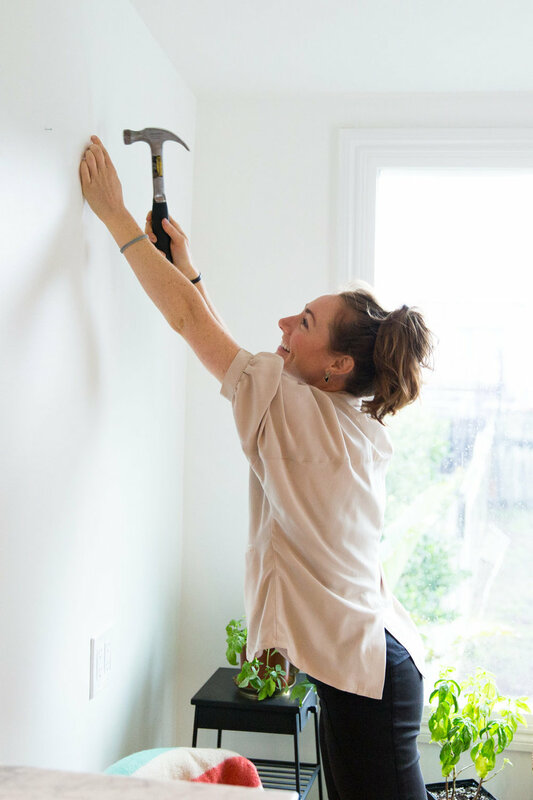 She gets excited about creating beautiful and functional spaces by-way of removing the excess. Environmentally focused, all viable goods from her sessions are donated to organizations in need. At the start of the new year, it’s a perfect time to pause and take inventory. Acknowledge the ways in which you are crushing it in life, as well as examine the ways in which you are just gently squishing it…think weak hand holding a stress ball. From this quiet, retrospective place can you set bold goals for the year ahead. Strive for zero-waste in the kitchen. When I examine our household “waste stream”, most of the culprits that are destined for the landfill are in the form of food packaging. Do a quick audit for your own household waste. Yes, go to your trash can and dig around a little bit. Gross, yes, but remember, only you are to blame for just how gross your trash is. Our itty, bitty trash bin. Side note - Diligent composting of food scraps means that I can safely rummage through my trash without fear of encountering anything too disgusting. Add the fact that we don’t eat meat or dairy at home, and it’s pretty tame in that little, ol’ rubbish bin. Our bin is the size of small planter pot. Using a strategically small bin reprograms the brain to what feels like an “appropriate” amount of trash. All of the sudden it becomes unreasonable to add one of those Barbara’s Cheese Puff bags and take up the whole bin (more on this later). In the photo, we are repurposing a plastic ice bag as the garbage bag. When we don’t have a plastic bag to repurpose, we use the compostable BioBag’s so we an send landfill-bound waste down the chute in our building. When you add on the holiday hustle and the irregular grocery runs that accompany it, it is really easy for food packaging to creep back in and suddenly be a “thing” again. I proclaimed to my boyfriend after looking at our trash bin that we were officially re-instating the goal for zero-food-packaging-waste in the kitchen (thankfully, he hails from the mountains and adores Mother Earth and so is naturally on board). 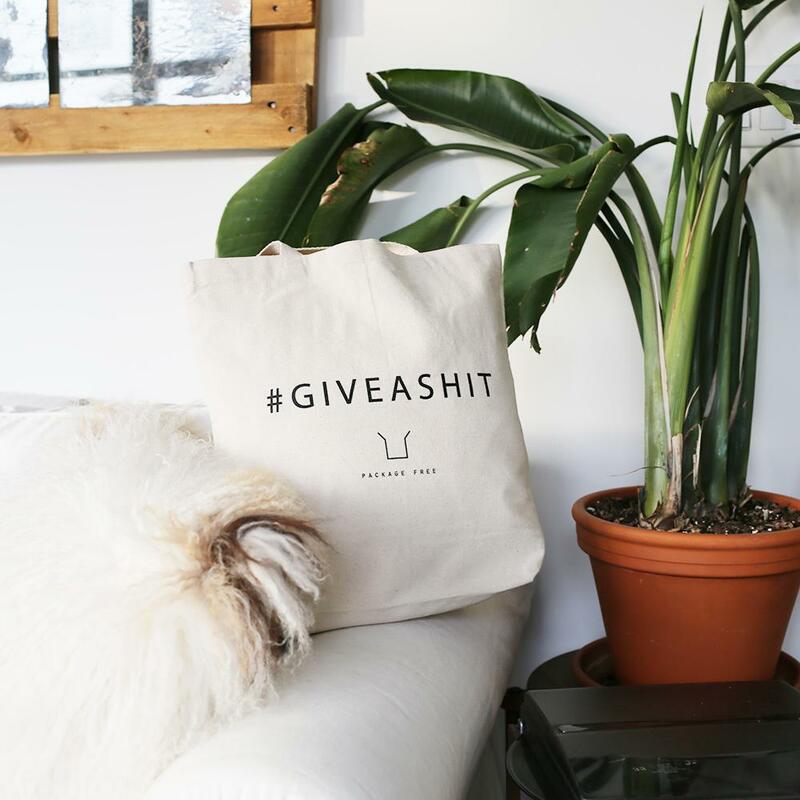 These bags instantly make our trash full. Not acceptable! We are not a huge snack household, but I definitely like to have something on-hand. Namely, Barbara’s Cheese Puffs. If you know, you know. They are painfully delicious. And today, I looked at a bag in the grocery store, took a picture of it, and WALKED AWAY. This is the #1 culprit to dashing my zero-waste dreams. So I resisted. Instead, I filled a brown paper bag with salty, crunchy plantain chips from the bulk bin. This will satisfy the snacking desire without the plastic bag. And in the meantime, I’m going to relentlessly submit anonymous comments to the makers of Barbara’s Cheese Puffs to request sustainable packaging. Also on the snack list is finding a local restaurant where I can buy tortillas from using my own bag. 2. Where I get stuck: Recycling too many glass bottles (vinegars, olive oil, sauces). It’s time to get to cut back on my consumption of vinegars, oils and sauces, even if they come in recyclable containers. The aim is to just keep stocked one primary vinegar at a time, master recipes using it, and move on to another vinegar for the next phase. Hot sauce, well it’s going to take a while to get through our now-hearty stash, but I’ll try my hardest (insert sweating emoji). 3. Where I get stuck: Caught at a store without bulk, when we “need” something like, tahini. I think the biggest improvement here will come from creating a shopping routine. The challenge of a super flexible work schedule is that I go to a variety of stores, depending on where I am in the Bay Area and for different purposes. I need to create a routine and simplify this so that I don’t cave and buy a package of rice when I’m at a store that doesn’t sell it in bulk. By creating a routine of where/when to buy certain goods, this will remove the inevitable run-around and hopefully lead to overall feelings of sanity. We eat a lot of soba noodles, so finding that in bulk will be a top priority. 4. Where I get stuck: Recycling too many glass bottles (WINE). Wine deserves its own category. When it comes down to it, this is what mostly fills the recycling bin. After a quick search, I found a local purveyor of wine who refills bottles: Tank 18. They have monthly BYOB refill events, and you can bring any empty wine of bottle and they will fill and re-cork it for you! Amazing! It’s on my calendar for later this month…in the meantime, dry January??? Yes, recycling is better than not recycling. But, recycling takes up a lot of energy: water and transportation costs, mainly. In case you didn’t hear, back in Jan. of 2018, China stopped importing plastic recycling (hmm, is it any wonder why? We were sending barges upon barges of dirty recyclables, much of which were contaminated so that they couldn’t even be recycled). Before this, China previously took about 50% of the world’s recycling. Which means recycling will become more expensive, and our solutions will have to be more localized. Like, deal with your own trash, people. But, this is progress. China refusing our barges of recycling is progress. Feeling the constraints of our ecosystem and taking action (even if it is reactive) is progress. The European Union banned an array of single-use plastics by 2020. I recently had a (somewhat heated) debate with a young, educated (white male) from New York City who was humble-bragging that his friend was pioneering a new “superfood “ mushroom dust product thingy. I said offhand that I hoped his friend’s little packets would be made of compostable materials. This New Yorker was pretty adamant that this was a pointless pursuit and would have no impact on the environment. Obviously, I disagreed and said debate ensued. It is this PRECISE, shrug-it-off, export-it-to-China, I-can’t-make-a-difference mindset that got us into this huge mess to begin with. Even more surprising, this New Yorker is a surfer, whose partner teaches mediation for a living…seemingly intentional people who like the outdoors, right? So why the indifference? What is the disconnect to feeling like your actions don’t collectively have the power to make a difference? We are super excited to announce these upcoming events!!! 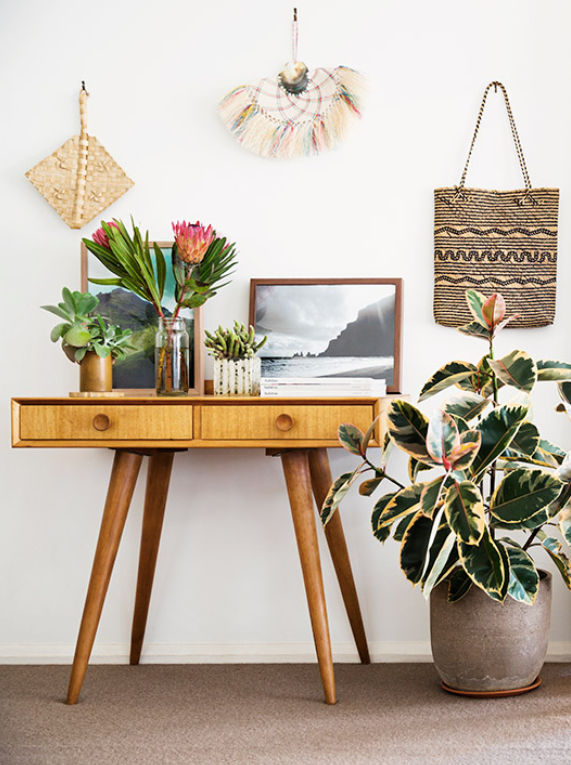 Kyle Quilici of New Minimalism and Shira Gill of Shira Gill Home will co-host a live, 1-hour workshop where we dig into the details of a creating your own successful decluttering and home organization business. Professional organizers, home decorators and stylists, zero-waste educators, minimalists or those aspiring to be any of the above. New Minimalism comes to Brooklyn! Kyle is booking design consultations for Brooklyn-based residents! The NM Design consultations have a focus on decluttering and utilize the simple updates that can make a huge impact on a space. Think: a change of a paint color, the replacement of a key piece of furniture, or investing in better lighting. The person who is overwhelmed by their stuff or uninspired with their space. These consults will prioritize your to-do list and jumpstart your motivation to revamp your space! Email Kyle directly at kyle [at] newminimalism.com to secure your spot! 1. If one partner is moving into the other person's space, clear the slate first. The person already living in the space should consider removing all personal items that adorn the home. Remove all the photos on the mantel, the mementos on the fridge, the family photos on the walls. Then, you can reassess those pieces with a more critical eye with your partner—does that wedding invite from seven years ago still need to be displayed on your fridge? In my studio apartment, I had hung one family portrait, and when my boyfriend KG moved in, he brought along his favorite family snapshot so that we could both have one cherished photo hanging on the tiny gallery wall. 2. Enact the "Bedside Equality Act." Have you ever walked into a couple's bedroom to see that one side of the bed is pushed up against the wall? That position subtly says that one person gets priority access to all the luxuries: the bedside table, the lamp, the reading material, the mug of tea. Meanwhile, their bedmate is bereft on the far side of the bed, stuck between their lover and a wall! Equal access to both sides of the bed instills fairness at a very basic level. No matter how small your bedroom is, I would argue that the most important thing is making it possible for both people to have walk-up access to their side of the bed, along with a light and bedside table. If you have an extra-small room like ours, you can save space by wall-mounting a light and using the world's smallest bedside tables. What's even more freeing about this scenario: As the months pass, you have the flexibility to (gasp!) sleep on different sides of the bed. 3. Carve out solo spaces where possible. In our apartment, we each have our own side of the closet and a small secretary desk for when we work from home. While this seems like no big deal, designating spaces (or even surfaces!) that are solely your own can help keep the peace, especially in smaller spaces. 4. Remember that teamwork makes the dream work. Working on a fun project together can make a space feel like it belongs to both of you. Right when you move in, decide on a DIY so there's a design element in your home that you both had a part in creating. For us, it was as simple as printing a large image and attaching it to a piece of foam core to hang on the wall. 5. 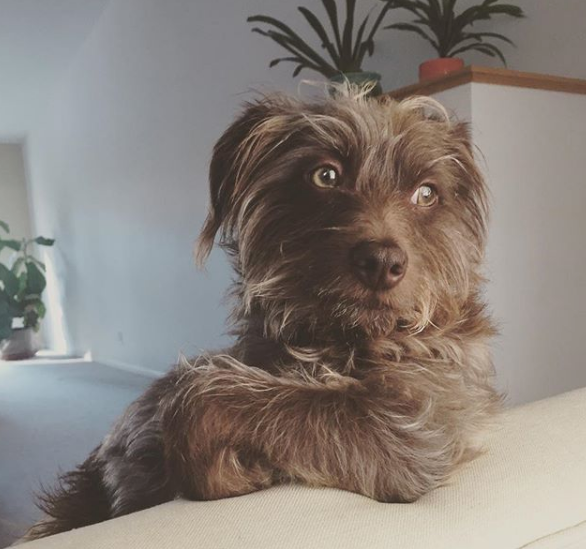 Talk, talk, and then talk some more. After several discussions, KG and I came to understand what we both liked about our studio apartment, what we would change, and how we would implement these tweaks together. From these discussions, we prioritized what needed to happen: repaint accent walls, find a photo for the focal wall, find a desk solution, decide where to hang the surfboard, etc. Get these conversations out of the way early, so you're on the same page about the plan of action moving forward. 6. On move-in day, don't pressure your partner to declutter their stuff. Set the example by leading your own decluttered lifestyle, and you may be surprised by how your partner responds. Giving them the space to pause, reflect, and come to decisions about what to keep and what to get rid of on their own is the only way that lasting change will happen. Oh and here's one last fun idea: When all the hard decisions are made, celebrate with an emotionally cleansing bonfire (or metaphorical bonfire!) using those sentimental papers you're getting rid of as fodder. Best of luck in your pursuit of cohabitation bliss!